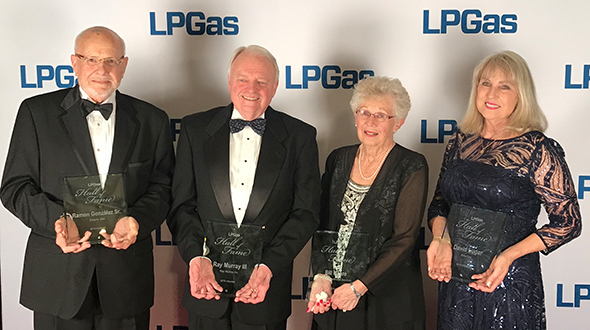 The propane industry finds itself in a “true energy revolution,” impacted by strong domestic production, record U.S. exports and changing pipeline infrastructure – all affecting inventories, distribution and retailers’ ability to service their customers without interruption. 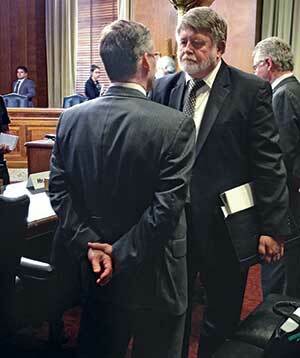 Joe Cordill, president of Cordill Propane Service in Louisiana and former chairman of the National Propane Gas Association (NPGA), brought that message to Washington, D.C., on May 1 and stated the industry’s case to members of the U.S. Senate Committee on Energy and Natural Resources. 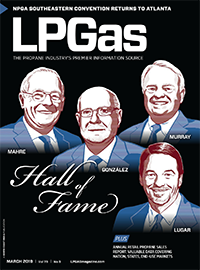 Propane industry veterans outlined the challenges from last winter that could carry into future winters and offered possible solutions to the nation’s political leaders. Pictured here are Phil Squair, left, senior vice president, public and governmental affairs for NPGA, who talks with Joe Cordill, president of Cordill Propane Service in Louisiana and a past NPGA chairman. Pictured here are Phil Squair, left, senior vice president, public and governmental affairs for NPGA, who talks with Joe Cordill, president of Cordill Propane Service in Louisiana and a past NPGA chairman. Cordill and current NPGA Chairman Gary France of France Propane Service in Wisconsin joined representatives from the Department of Energy, the Federal Energy Regulatory Commission (FERC), the Association of Oil Pipe Lines and the Minnesota Turkey Growers Association in a two-hour hearing brought by committee chair, Sen. Mary Landrieu, D-La. The propane industry veterans outlined the challenges from last winter that could carry into future winters and offered possible solutions to the nation’s political leaders. Their solutions primarily encompassed two key areas – transparency of propane storage information and physical storage capacity. 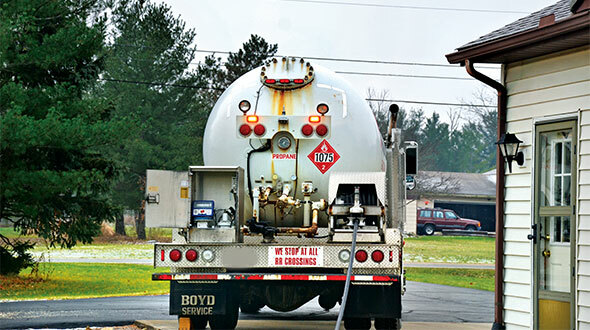 At a state meeting in late January, with extremely cold temperatures bringing down propane supplies, attendees were uncertain about the amount of storage remaining at Conway, Kan., France told the panel of politicians. According to the U.S. Energy Information Administration (EIA), storage levels in the Midwest sank to 7.2 million barrels by mid-March. FERC’s emergency order directing Enterprise Products to ship an additional 500,000 barrels of propane to the Midwest was helpful, Cordill said, but the flow of open-market information would be just as important. 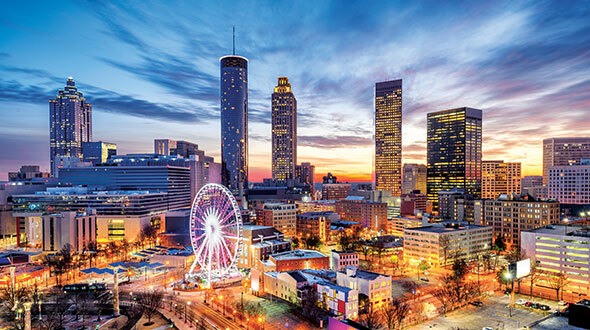 The exchange of information between shippers, the EIA and the propane industry would create a free-market solution, allowing pipelines to maximize the use of their facilities and profits while still providing timely service to the propane industry. 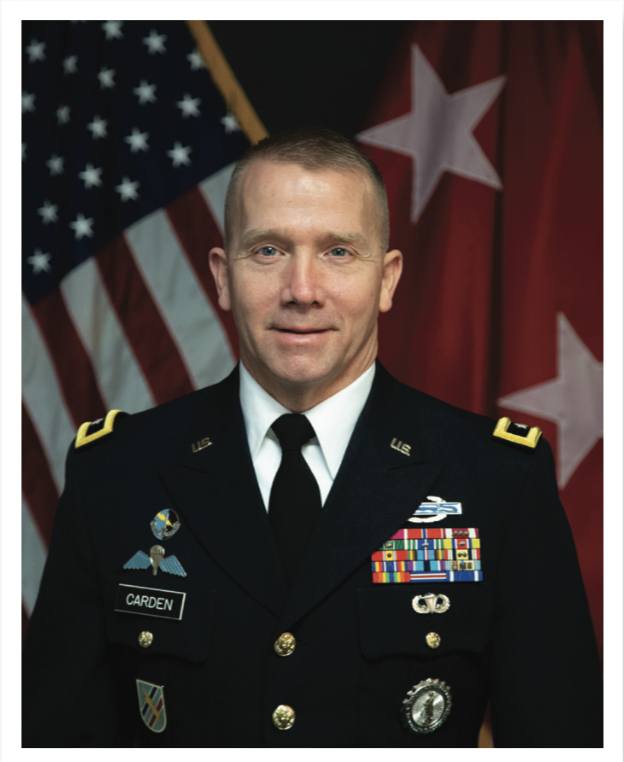 “There’s no way you can have too much information to make business decisions,” Cordill said. Cordill and France also used the forum to explain propane storage challenges faced throughout the industry that might have prevented last winter’s supply problems. They mentioned the Finger Lakes underground storage facility in upstate New York that could hold 88 million gallons of propane but has been delayed by the state for more than four years. The reversal of the Cochin Pipeline, which until 2013 provided 78,000 barrels per day of propane capacity, leaves the Midwest without access to major Canadian storage facilities. John Zimmerman, past president of the Minnesota Turkey Growers Association, said storage on farms is important to his members, but he believes infrastructure that ensures reliable propane supplies is the real issue. Sen. Al Franken, D-Minn., floated the idea of a propane reserve to witnesses. Cordill agreed the idea should be explored but explained that propane is still a national market with two key issues at play: inventory and deliverability. “I’m not worried so much about next winter, but seven years from now, 12 years from now, I don’t want this to happen again, ever,” Franken said.